After completing his studies in illustration, Jorge specialised in the world of colour, always trying to give his personal touch to everything he does both in traditional and digital techniques. He has also worked as Art teacher. 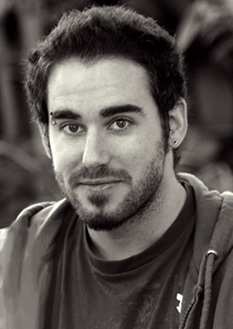 He ranked second prize in the comic contest in Castellón 2010 with the comic Dos mil anys després, which he is co-author along with José “Easy” Ramos. He is also co-author of the script of the comic Keih, and he also provided the colour. In the last years he has become a specialist in drawing for children, creating short stories like Coco el conejo cobarde or Clara y los búhos. His Japanese folk story Tanabata implied a change in style, leaving aside the line and leading him to explore a more pictorial style. On the other hand, he is also the author of many illustrations, some of which have been collected in his books Duality, Sketchbook and Catrinas.